Northern Ireland has the highest suicide rate in the UK, with the latest available figures showing that the rate is nearly double that in England. Since the Good Friday Peace Agreement in 1998, more people have died from suicide in Northern Ireland than were killed by violence during the Troubles. As the biggest single killer of men under 50, latest figures show suicide accounts for nearly 5,000 male deaths a year in the UK. 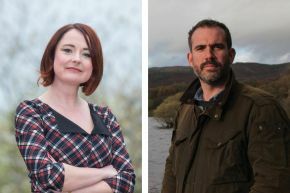 Join Doctor and television presenter Xand Van Tulleken and Siobhan O’Neill, Professor of mental health sciences at Ulster University, for a discussion on what we know about why people develop suicidal thoughts, the local context and whether there is anything that we can do about it. This event is part of the NI Science Festival. Event proceeds donated to PIPs (suicide awareness charity). Find out more about the Psychology Research Institute.